When it comes to eco-responsibility, many Port Charlotte companies talk the talk, but do they really walk the walk? I can’t speak for all SW Florida health supplement businesses, but I can tell you about Well Beyond, the makers of XO healthy chocolate. The business practices of Well Beyond are beneficial to both the people involved and the land which they inhabit. 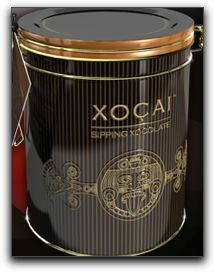 Cacao, the principal ingredient in XO antioxidant chocolate is 100 percent ethically traded. XO buys cacao beans from small family-owned farms in Ivory Coast. The cacao farmers earn a fair wage and work in humane conditions. XO cacao growers do not use agricultural pesticides and their farming practices are environmentally sustainable. The other main natural ingredient used to make XO dark chocolate is the acai berry. Well Beyond purchases freeze-dried acai berries from cooperative farms in the Amazon rainforest. The Acai Palm is a low-maintenance rainforest tree. Unfortunately, in the past few generations, many Acai Palms have been cut down to clear the land for cattle pastures. The recent increase in global acai demand is now promoting the preservation of the Acai Palm. Local farmers have started planting new Acai Palms on their property to increase their acai harvest. As Well Beyond continues to purchase greater quantities of freeze-dried acai pulp, rainforest economies are reaping the benefits. Ivory Coast cacao growers expanding their farms and increasing their profits from health chocolate. South America acai growers reversing deforestation while profiting from an indigenous, sustainable crop. XO can provide a steady income stream for your household economy! NextIs Beyond Chocolate Really Good For You?